Note: Download Card offer subject to expiration. 200-gram vinyl reissue pressed at Quality Record Pressings! Remastered from the original analog master tapes at Abbey Road Studios! Throughout the years 2014 and 2015, Rush is celebrating their 40th anniversary with vinyl reissues of albums from their Mercury era. 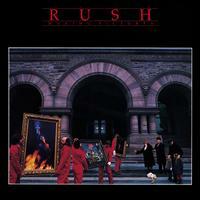 "With Moving Pictures, Rush's complex songwriting and musical virtuosity reached new heights. It's that rarest of creatures, a highly listenable progressive-rock album; even the all-instrumental "YYZ" is of interest to listeners besides musicians. The highlight of the album is 'Limelight' — like many progressive-rock bands, Rush writes songs about the experience of being on-stage. The result is impressive, with almost orchestral arrangements that never overwhelm the actual music. Customer Reviews (4.33 Stars) 6 person(s) rated this product. Superb recording! Do not hesitate if you are a Rush fan! SURPASES ALL VERSIONS I'VE HEARD EVEN THE MOFI! Being that after many months of this title being released and it's only reviewer calls it horrible, I feel I must finally add my voice. I own a near mint first pressing of this album, but felt the need to purchase this one due to my appreciation of the other Rush titles Ive purchased. I just A/B'd this again to my original and it has all the presence, punch and depth of the original. The vinyl it was pressed on is flawless with a silent black background. This masterpiece from Rush has been given a first class remaster and is worth every penny especially for those who cant find a mint original at this price point. There is no loss of resolution on this release. Don't waste your money.. get an original instead... it sounds like a CD on the LP!!! Terrible....... So thinned out and terrible!